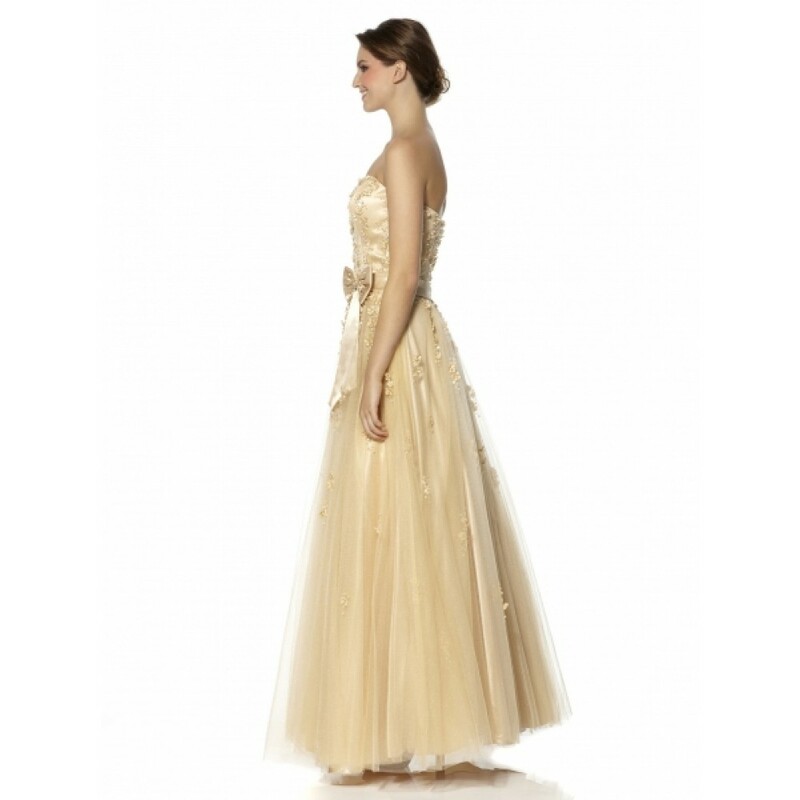 This is a beautiful, full length bandeau dress in tulle with a sweetheart neckline and full skirt. 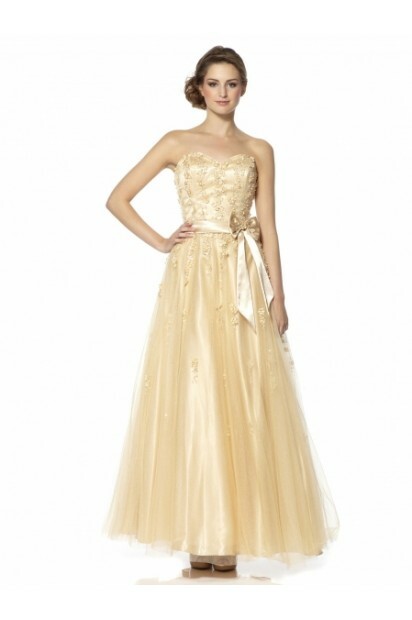 The bodice is covered with gorgeous embellishment consisting of tiny satin flowers, beads and sequins. The waistband is adorned with a lovely satin bow.